As soon as you get that “Big Fat Positive,” you can’t wait to share your wonderful news to the entire world. But telling your employer may bring up some mixed emotions, especially the consequences on your job. Many questions popped into my head: Am I still up for that promotion? How will I manage? Is my career over? Here are six important tips to calm your nerves and proudly tell your boss your exciting news. 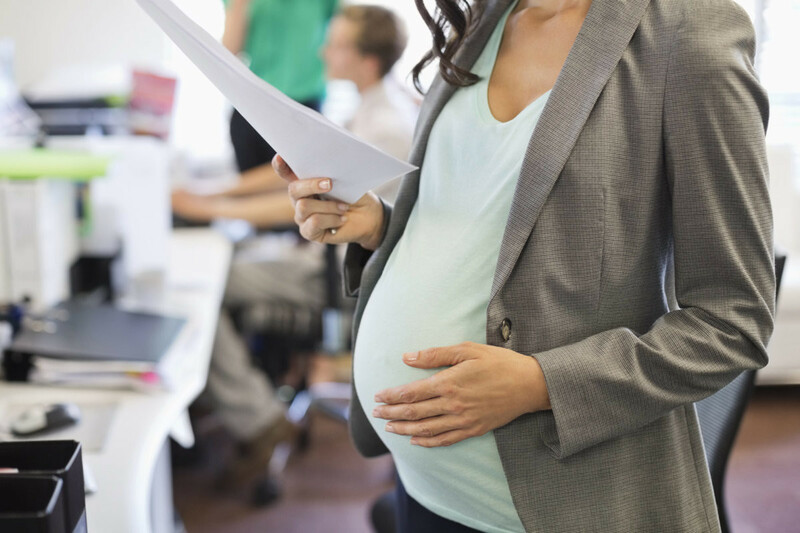 It’s crucial you understand your company’s maternity leave policy since they may vary. Also, you need to know your rights and eligibility for leave. The American Pregnancy Discrimination Act explains your rights against discrimination of any kind during pregnancy. The Family and Medical Leave Act is another important law you should familiarize yourself with in order to understand your rights with family leave. Resist telling your colleagues before you tell your boss. I recommend notifying your employer as early as you can to protect yourself against any kind of discrimination. And it’s always better that the news comes from you instead of gossip from a coworker. Are you trying to juggle work and pregnancy? Connect with moms who are going through the same. Chat, share, vent and laugh. Download the free mom.life app now. Wait until after the first trimester unless your symptoms are really severe. After first trimester, chances of miscarriage are lowered, and that’s when most new moms share their news. But if you’re struggling with bad morning sickness, fatigue and other early pregnancy signs and it’s affecting your job performance, you may need to tell your boss sooner. Plan accordingly with your type of job. Depending on your work, consider and plan ahead of time how you will deal with pregnancy and working. If you have to stand on your feet all day or work in loud construction sites, you will need to take more breaks or work in alternative work sites. Check your rights and work out a plan with your employer. Act professional, be brief and try not to be nervous. It’s a truly joyous occasion and with the right planning, you can make your career, pregnancy and motherhood work. The best route is to keep up good and continuous communication with your supervisor. Talk with other career moms. Learn from other women who have gone through the same, so you don’t have to make any of the same mistakes. Chat with moms in your workplace or join some career mom networks like ones in mom.life or locally to ask what worked and did not work for them. Enjoy your pregnancy and motherhood to the fullest. Pregnancy and being a mom will give you the extra “mom skills” that are truly assets to any career. Need more pregnancy tips? Chat, vent, brag, laugh, find mom friends. Download the mom.life app now.